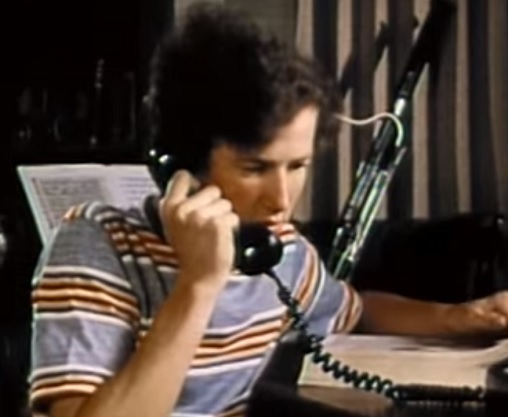 Did you know that one year before playing Jimmy Olsen in 1978’s Superman: The Movie, Marc McClure appeared in a little short film called The Phone Call? It was produced by my alma mater, Brigham Young University, so it has a special place in my heart. The Phone Call tells the story of an awkward teenager who has to work hard to overcome his insecurities and ask a cute girl out on a date. 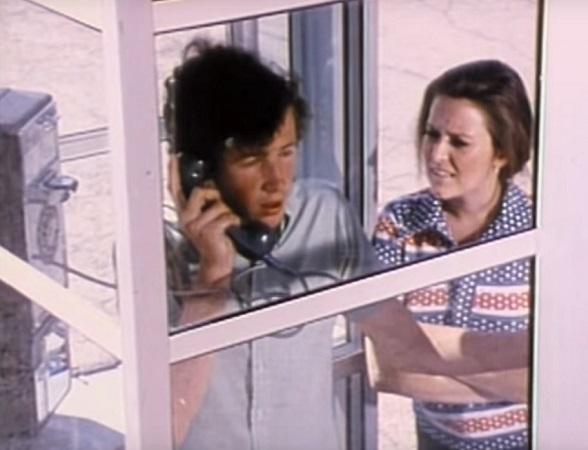 There are a lot of reasons to love this little 24-minute film – and Marc McClure’s lovable Scott character, in particular. And I’m going to share 10 of them. 1. He is the original karate kid. A skinny kid learns karate to fight a bully and win over his girlfriend. Sound familiar? Okay, they’re not exactly the same. Scott breaks a single perforated wooden board with his bare hand while Daniel LaRusso breaks six blocks of ice at a time. 2. He lives just down the street from Doc Brown. In The Phone Call, Scott says he lives at 619 Riverside Drive, which is just a mile away from Doc Brown’s 1955 address: 1640 Riverside Drive! They must have changed it to John F. Kennedy Drive after 1977. Marc McClure went on to play Marty McFly’s big brother Dave in the Back to the Future trilogy, and maybe – just maybe – he knew Doc Brown, too. 3. He’s basically Peter Parker pre-spider bite. Scott dubs himself “Your friendly neighborhood zero,” and it’s fitting because he’s basically exactly how I picture Peter Parker before fate delivers superpowers to him. He even went on to become a photographer for a major metropolitan newspaper! Coincidence? I think not. 4. Clark Kent must be jealous of all the time Scott spends in a phone booth. Seriously, at pretty much the same time that Superman: The Movie was joking about how hard it is for the Man of Steel to find a phone booth near the Daily Planet, this kid has no trouble finding one within walking distance of his malt shop. Some mild-mannered people get all the luck. 5. He is king of the awkward conversation. Want to hear the most uncomfortable small talk ever put to film? Skip to 10:33 in the video and sit back and enjoy the cringe, which lasts almost a full minute. He makes Napoleon Dynamite’s “1% milk” conversation look like something from a polished pickup artist. 7. His thoughts and moods are reflected in the form of bassoon music. You don’t usually hear the bassoon as a standalone instrument, but this short film has the audacity to primarily use the bassoon for its entire soundtrack. It works surprisingly well. 8. He points out that a bassoon is not the same as a balloon. That’s awfully thoughtful of him. Now I’ll always remember how many S’s are in the word bassoon. 9. He dreams of having an electronic bassoon and starting a rock band with it. I have no idea how you would go about making an electronic bassoon, but I’m sure someone has figured it out by now. Scott admits he hasn’t worked out all the details, but I love that he has lofty dreams. 10. He has mastered the science of teleportation. Check out the bizarre transition at about the 7:22 mark in the video. What is that all about? This isn’t Star Trek or The Fly, buddy. I hope you get a kick out The Phone Call and that you enjoyed all of its connections to The Karate Kid, Spider-Man, Superman, Back to the Future, Star Trek, and even Ernest movies. All images and movie clips are the copyright of their respective owners. This entry was posted in Forgotten Film Gems and tagged back to the future, bassoon, films, fun, funny, humor, karate kid, movie review, movies, music, phone call, relationships, short film, soundtrack, spiderman, superman. Bookmark the permalink.